Making a three-minute call over WhatsApp instead of cellular can save you as much as R3, depending on which service provider you use. But the quality of WhatsApp calls are heavily dependent on network strength. 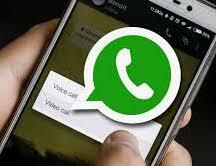 An average WhatsApp call uses anything from 0.15 MB to 0.47 Mb per minute.